Rolling Updates: So we did away with annual versions of SONAR and decided to work on one version —continuously. We can make smaller incremental changes at a faster pace without disrupting the end user’s stability and workflow, as well as react more quickly to user requests. No more waiting until the next version to get problems resolved as is the case with many other products. We call this model “Rolling Updates” and as a developer and CTO of Cakewalk, I love it! Rolling Updates also provides benefits beyond making new features available as soon as they’re ready. If something needs fixing or improving, we can just fix it and ship it without your having to wait a whole year. For example the Mix Recall, Patch Points, and Upsampling features all benefited from this interaction with end users. And doing features incrementally, in shorter time periods, promotes better stability and performance. Although it’s never easy to do something disruptive in an industry that’s resistant to change (remember the outcry when Netflix decided to focus on streaming instead of DVDs? ), the response has been decisive and positive. We didn’t want to end up like the record companies who refused to acknowledge the emergence of MP3s and digital media as a distribution model, and became almost irrelevant in the process. 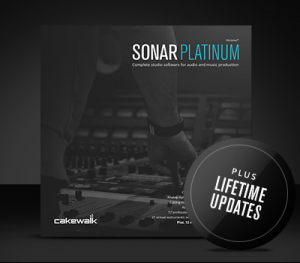 Doing Rolling Updates for the past year-and-a-half has convinced us this approach is far superior to the huge yearly update—so much so, that for a limited time, we’ve made the bold decision to offer Lifetime Updates for SONAR Platinum, giving you all future SONAR updates for free. Lifetime Updates shake up the mix even more, and offer a better way of doing business that benefits everyone. One great side effect is you get to help us improve SONAR during this process with your feedback and suggestions, creating a partnership with a common goal: You want to use the finest software in the world, and we want to create it. That’s why we are doubling down by offering the opportunity to join us on this journey. With SONAR Analytics now at our disposal, and a responsive feedback portal on its way, we’ll be monitoring your comments, feedback, and requests closely so we can respond quickly and ensure that your experience with SONAR is…awesome. 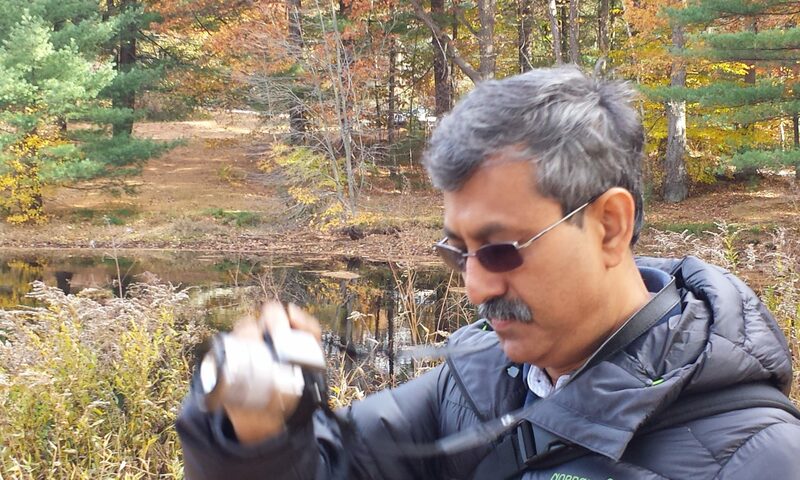 At Cakewalk, we believe that there’s no better way to succeed than by having happy customers. It really is that simple. 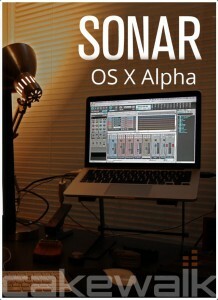 What’s more, SONAR will soon be available to a brand new audience of music creators with our SONAR OS X Alpha, coming this Fall. With Windows and Mac split almost evenly among musicians, it made no sense to ignore half the market—or ignore the numerous requests over the years from music creators who’ve wanted to experience SONAR’s superior workflow, audio quality, and tools on the Mac. For PC users who wonder if we will keep up the same pace of Windows development, the answer is an emphatic “yes”—we will never give up our lineage as a Windows-based DAW. All of this may seem too good to be true, and some people wonder if there’s a catch. But we’ve put a lot of thought into how we can make changes that benefit everyone. Cakewalk has experienced a major rejuvenation, and we want nothing more than to continue what has brought us to this point. We love the new Rolling Updates model, and even many users who resisted the idea at first have become converts after experiencing the many benefits. Welcome to a better way to produce and experience music software, and thank you for joining us on this journey of innovation and excitement. We couldn’t have gotten to where we are without you. Next PostNext Executive Roundtable: Does Music Software Have a Future?